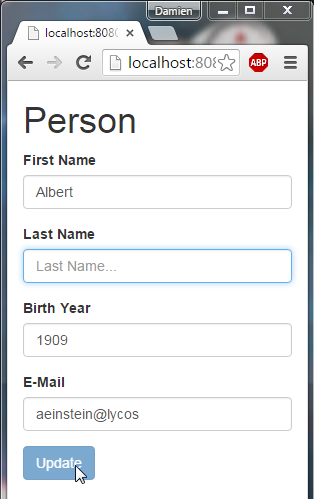 A simple User form, with REST HTTP Get then Post. 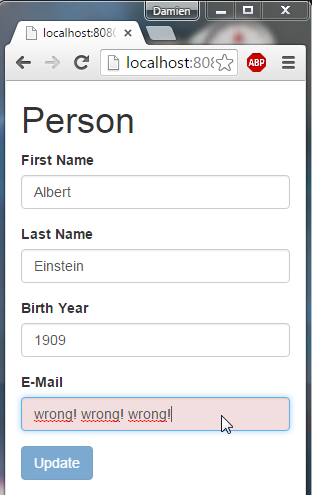 Disable submit button with tag (if form is $invalid). 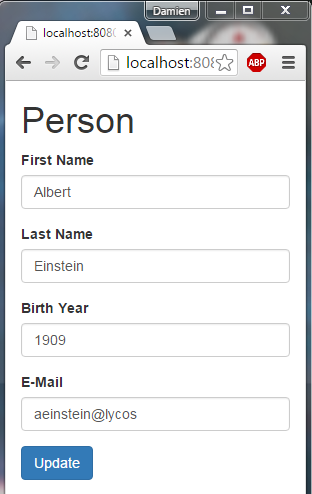 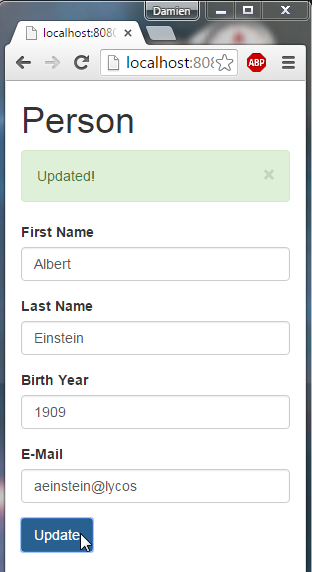 ng-valid and ng-invalid will automatically determine if a field is valid based on the tags placed in your form. 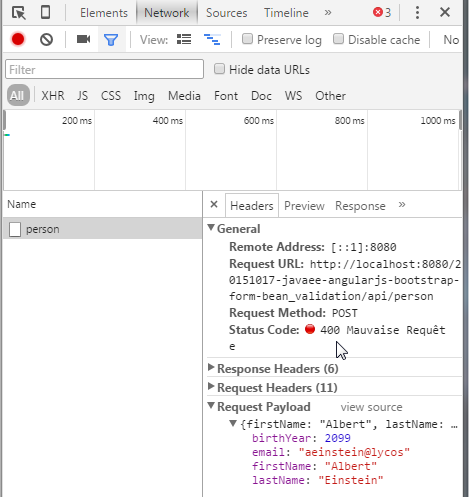 This message is from the Java Server. 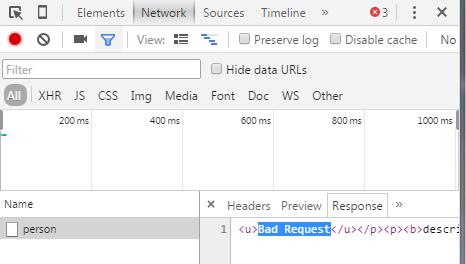 and Response from Java Server (Bad Request). <input class="form-control" placeholder="Last Name..." ng-model="person.lastName"
<input class="form-control" placeholder="Birth Year..." ng-model="person.birthYear" type="number"
<input class="form-control" placeholder="E-Mail..." ng-model="person.email" type="email"
<button type="submit" class="btn btn-primary" ng-click="update()"